In this exclusive interview, Deputy Undersecretary for Defense Industries Mr. Serdar Demirel shares in depth insight into the impressive and growing list of Defense Industry products coming out of Turkey. Defence Turkey: Mr. Serdar Demirel first of all we would like to thank you for your time. There have been some changes in the responsibilities and organizational structure of the Deputy Undersecretary for Defense Industries in the recent period. Within this context, could you please inform us on the new structure? Due to the accelerated work pace and increased responsibilities of the Undersecretariat for Defense Industries within the previous year, making several changes became inevitable. The fifth Deputy Undersecretary was appointed last summer in order to balance the workload between the Deputy Undersecretaries. Within this context, the Land Platforms Department and Department of Helicopters, where I was assigned previously as a Deputy Undersecretary separated and Deputy Undersecretariat incorporate in the Department of Unmanned and Smart Systems and Department of Logistics. In this way, our Deputy Undersecretariat now collaborates mostly with the Air and Naval Forces and Coast Guard Commands and the Departments of Land Platforms and Helicopters which used to generally cooperate with the Land Forces and Gendarmerie General Command are now under the auspices of another Deputy Undersecretariat. Defence Turkey: The Departments of Fixed-Wing Platforms, Naval Platforms, and Unmanned-Smart Systems and Logistics are executing critical system and platform projects under your responsibility. In this regard, could you please evaluate the latest status of the product-platform deliveries, programs in the serial production stage and the development programs conducted in 2016? Within the scope of the Erciyes Project, in which the avionic systems of the C-130 aircrafts in the Air Forces Command’s inventory were modernized, the tests on one prototype were successfully completed and its delivery was accomplished in December 2016. Upon the completion of the prototype stage, the serial modernization activities of the aircrafts were initiated. Moreover, the final deliveries of the Peace Eagle aircrafts (the initial deliveries of which were made before 2016) were accomplished within 2016. Within the scope of the auxiliary ships program executed by our Undersecretariat in line with the requirement of the Naval Forces Command and as part of the Submarine Rescue Mother Ship Project (MOSHIP), the test activities were completed and as you know the vessel’s acceptance was made on 28 January 2017 with a commissioning under the name ‘TCG Alemdar’. In addition, within 2016, as part of the New Type Patrol Boat Project, the Final Delivery of the 16th Boat (the last boat) was completed. Within the scope of the 25–Tons Coast Guard Boat Project, the initial acceptance of the 17th Boat (last boat) was accomplished and the Final Acceptance of the 13th – 16th Boats were accomplished. Finally, within the framework of the SAR 33 Boat’s Modernization Project, the Final Acceptance of all boats (five boats in total) were completed. The Unmanned Air Vehicle systems developed as part of the Bayraktar TB2 Tactical Unmanned Air Vehicle Development Project were initially delivered to the Land Forces Command and in 2016 they were delivered to the Security General Directorate. The acceptance tests of the unmanned air vehicle system in operative class ANKA developed within the scope of the Indigenous Turkish Unmanned Air Vehicle (MALE-Class) Development Project was also completed successfully. The contracts regarding the Command Control Aircrafts Logistical Support Project, and Electronic Warfare, Test and Training Field (EHTES) Logistical Support Project were signed by the Department of Logistics under the auspices of our Deputy Undersecretariat. Presently the activities regarding the Long Horizon Logistical Support Project, Coast Guard Boats’ Stabilized Machine Gun Platform (STAMP) Systems Logistical Support Project, Project for Acquiring Depot Level Maintenance Capability for the PT6 Series Engines, Project for Acquiring the Depot Level Maintenance Capability for the Airborne Early Warning and Control Aircraft, Kornet-E Anti-tank Weapon System Logistical Support Project, 2nd Lot Tactical UAV (MALE) Direct Procurement Program–GÖZCÜ Logistical Support Project, New Generation Basic Trainer Aircraft Hürkuş-B Logistical Support Project, Bora Logistical Support Project, Emergency Manned Reconnaissance Aircraft Logistical Support Project are being conducted. As the expert in the areas of effective life cycle and logistics management, our Department of Logistics is providing the necessary support to the Turkish Main Battle Tank (Altay) Project, Indigenous Helicopter Development Project, KARAOK Short Range man portable Anti-Tank Missile Project, Anti-Tank Vehicle (STA) Project, AKYA Project phase-2 and Early Warning and Radar Systems Phase-1 Projects. Defence Turkey: Which system and product deliveries are planned for 2017 by the Departments of Fixed-Wing, Naval Platforms, Smart and Unmanned Systems operating under your responsibility? Also, in which areas will new procurements and new projects be initiated? We plan to realize 2 deliveries in 2017 as part of the A400M program. The activities for the acceptance tests of the first delivery are about to be launched. Moreover, within the scope of the Erciyes Project the serial modernization of the aircrafts and their delivery to the Air Forces Command are planned to be initiated. On the other hand, I am delighted to announce to Defence Turkey readers that the first armed test flights and launching test of the prototype of Hürkuş-C, which is the Hürkuş Training Aircraft’s armed close air support configuration, will be initiated in April. As you may recall from previous years, Baykar TB2 Unmanned Air Vehicle’s entry into the inventory, in pursuit of its armed version was rapidly designed, integrated and put into service. Based on this, I would like to underline that the design of new weapon systems and their entry into inventory require great effort and patience. Then again, following the launch of the first product and the acquisition of the capability, the derived products can be rapidly designed and manufactured. In this context, I expect that we will see many new and improved products based on the capabilities acquired through the Altay Main Battle Tank and Indigenous Helicopter programs. In respect to MILGEM Corvette, quite some time has passed since the first delivery but with the involvement of the private shipyards in the process I am confident that soon we will be able to announce achievements in export activities. However, it is an undeniable fact that the experience gained in maritime fields are utilized to designing its own frigate. The deliveries of 2 vessels as part of the Landing Ship Tank (LST) - Amphibious Ship Project, the first of the 2 ships as part of the Logistical Support Ship Project are expected to be delivered to the Naval Forces Command in 2017. As part of the 25-Ton Coast Guard Boat Project, the Final Acceptance of the 17th Boat (the last one) is planned to be completed in March. Within the scope of the Rescue and Towing Vessel Project (KURYED) being carried out for the Naval Forces Command and the Seismic Research Vessel Project for fulfilling the requirements of the General Directorate of Mineral Research and Exploration, the Harbor and Sea Acceptance Tests of the vessels are ongoing. In this context, delivery of the 2 vessels as part of KURYED and Seismic Research Vessel to the Naval Forces are expected to be commissioned in the first half of 2017. Additionally, we aim to finalize the evaluations of the bidding regarding the Research Vessel and Fleet Replenishment Ship Project in 2017 and submit them to the Defense Industry Executive Committee. The deliveries in respect to the Bayraktar TB2 Tactical UAV (Pist) Development Project will proceed throughout the year as well. Within the scope of the Mini UAV Project, which is one of our first novel unmanned air vehicle systems, previously entered into the inventory of the Land Forces Command and new deliveries are planned to be accomplished within 2017. Within the scope of the ANKA serial production projects, based on the capabilities gained through the Indigenous Turkish Unmanned Air Vehicle (MALE) Development Project, the air vehicles equipped with various payloads and the related ground systems will be delivered within 2017. Development activities and deliveries are progressing for diversified requirements of the Turkish Armed Forces for the smaller class of UAV programs. Defence Turkey: You always mention that life cycle costs and management should be more effectively implemented in the defense systems programs, at the same time claiming that the Performance Based Logistics applications should become more widespread. To this end, within the preparatory stage, which type of a model is in discussion to guide, support and encourage the sector in line with the Logistics Road Map? Could you please share the current status with us; its pros and cons as well as the ideal structure? As the Undersecretariat, our main approach regarding logistics is maintaining the support of the weapon system in the inventory through effective and optimum cost and integrating this into the design of the weapon system, thus enabling the user’s focus on its primary tasks. To this end, we attach great importance to the identification of the logistical supportability criteria even from the design stage in order to provide input to the design. As commonly known, the principle of Performance Based Logistics (PDL) is to enhance the reliability of the system by committing to the user a certain level of combat readiness of the weapon system. 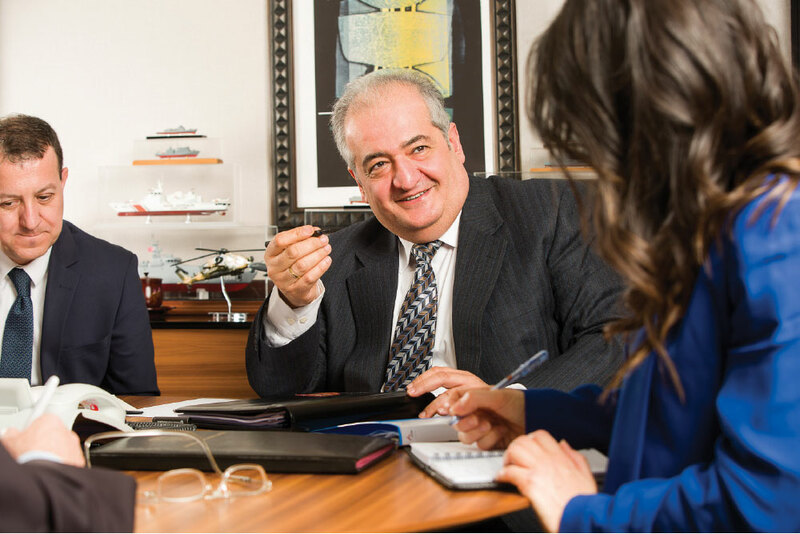 At this very point, we are exerting efforts toward the development of the ‘indigenous product support strategies’ which are capable of utilizing the manufacturer’s knowledge of the system, comprising of the PDL approach as well as the existing facilities and capabilities in the military factories and our shipyards. Surely, our Undersecretariat’s role here mostly consists of the inclusion of the system’s supportability to its design and the development of contract models in which the system designers / manufacturers will also be in charge of the logistical support of the system. While developing product support strategies, we aim to build a close coordination between the industry, procurement authority and end users, and set up models that analyze feedback from application in the field, breakdown or error frequencies and any other types of data analyses within this process. Consequently, our Undersecretariat works in close collaboration with both the industry and end users as well as the research institutions and is continuing preparations for the Life Cycle Management Conference which is planned to be held this May and which all the related shareholders will attend. The most important output of this Conference is to establish a Life Cycle Management Platform in which all shareholders will participate and execute workshops in certain areas and thus create a working environment for the activities of this platform and joint actions of the shareholders in line with the determined targets. I believe that the participation in this conference and platform will be useful in respect to reaching a better understanding of our Undersecretariat’s logistical support approach and for the exchange of ideas with the shareholders directly related with the subject. The essential outcome of the Conference and the Platform is the adoption of decisions concerning the implementation and their realization by all relevant shareholders, our Undersecretariat being first and foremost. Defence Turkey: The Performance Based Logistics issue has been on the agenda of the Undersecretariat for a long while and we know it is being implemented in certain successful pilot studies under your guidance. 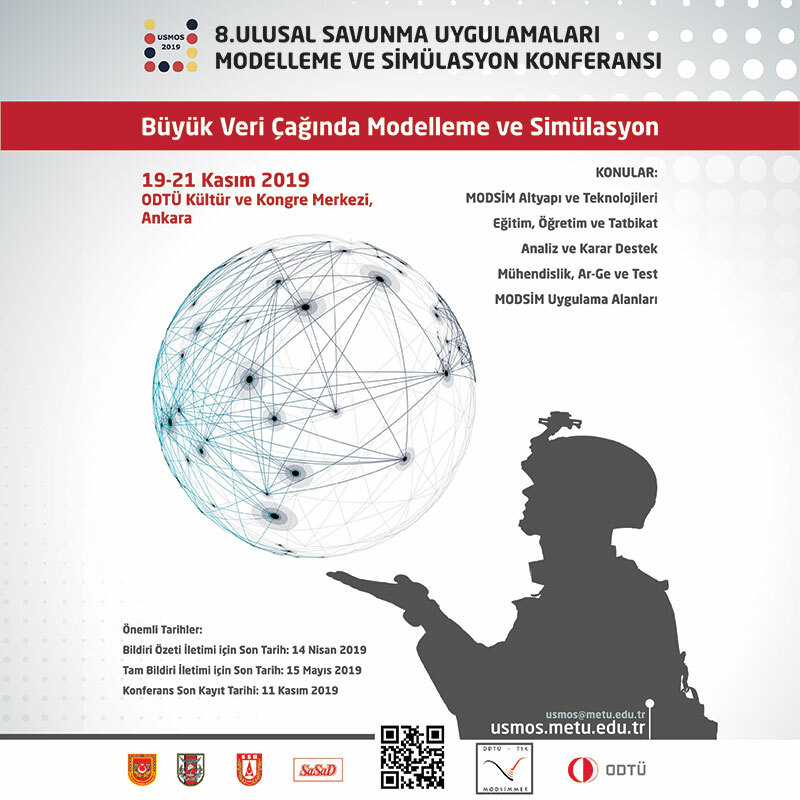 Taking into account worldwide best practices, with the increasing popularity of this model, which contributions will it provide to the Turkish Defense Industry together with the sub-industry, SMEs, Main Contractors and all supply chains? Performance Based Logistics (PDL) can be defined as the use of ‘original product support strategies’ and we are striving to utilize a logistical support approach designed to combine the capacities of the public and private sectors allowing all the stakeholders to focus on their own capabilities to achieve performance targets identified in line with a long term product support strategy encompassing all phases of the project life cycle. The main objective of the Logistical Support Models, also bearing in mind today’s operations, is to provide the availability of the products and systems in a cost-effective manner and in line with the performance criteria. PDL’s main objective is to maintain readiness. Undoubtedly, our companies are expected to establish effective supply chains, and while developing product support strategies, it is necessary to establish close coordination with the industry, the requirements of authorities and the end users, analyzing data such as the frequency of failures as well as other valuable feedback and information from the field. Within this process will focus on activities for developing new technology and new capabilities. Defense companies in United States, UK and similar countries don’t position themselves as merely system manufacturers, these corporations are eager to be involved in the logistical support service required by the system as well. Of course, finally, our companies need to take an active role in the field of logistic support, by taking into account the achievements attained thus far, in order to further the sustainability of our defense industry. Defence Turkey: Could you please inform us on the recent status of the ongoing Hürkuş-B serial production program, A400M program, retrofit activities of the Peace Eagle Aircrafts, Avionic Modernization of the C-130E/B (Erciyes) and Meltem-3 programs conducted by your Deputy Undersecretariat? As known, the serial production activities of the A400M Transportation Aircraft are proceeding. In respect to the Peace Eagle Project, the delivery of the Airborne Early Warning and Control Aircrafts were accomplished and currently our aircrafts are effectively performing their tasks. Within the scope of the Erciyes Project, comprising the upgrade of the avionic systems of our C-130 aircrafts, as I mentioned previously, the prototype development phase has already been completed and modernization activities of the aircrafts are ongoing. As part of the Meltem-3 Maritime Patrol Aircraft with Sea Surveillance Capability Project, the structural modifications of the first aircraft and ground tests were accomplished at TAI’s facilities and it was dispatched to Torino/Italy in July 2016 for the certification tests. The project activities are proceeding. 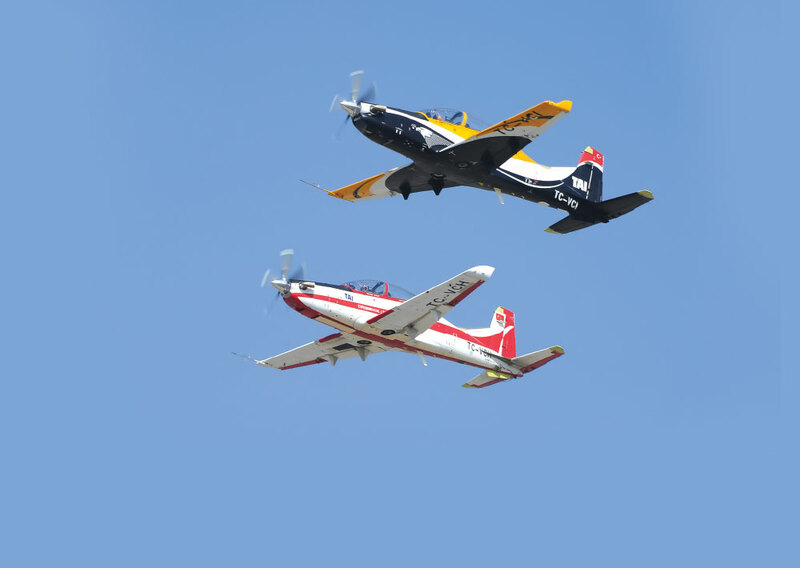 Within the scope of the Hürkuş Project, initiated in 2006 by our Undersecretariat for fulfilling the requirements of the Turkish Armed Forces, the maiden flight was accomplished in August 2013 and the final phase of the project, The Type Certificate was granted to the Hürkuş-A Trainer Aircraft in July 2016 by the European Civil Aviation Authority (EASA). In respect to the New Generation Trainer Aircraft (Hürkuş-B) Project, launched in December 2013 for comprising Turkish Air Forces Command’s requirements for 15 new generation trainer aircrafts, the structural integration of 5 aircrafts was accomplished and the assembly of the 6th aircraft is underway as part of mass production. According to the program schedule, the maiden flight is scheduled for December 2017. The first delivery is expected to be completed in June 2018 and the final delivery will be accomplished, a year later, in June 2019. Defence Turkey: Mr. Demirel, the final decision on selecting a partner was reached within the context of the TF-X program and the contract was signed with the British company BAE Systems. In this respect, previously the main contractor contract for the preliminary design phase was signed with TAI in August. Could you please inform us on the details of the contract signed with BAE Systems, on the business model of TAI and BAE Systems companies and the structure to be built? When establishing the project model, our 5th Generation Aircraft Technologic Readiness Level, qualified labor forces, projected schedule, Test and Measurement, Production and Infrastructure Requirements, etc. and the output capacity required for this type of system’s cost-efficient inclusion in the inventory were evaluated. As a result of the analysis, the human resources and cost for the development of the aforementioned complex system were taken into consideration and it was concluded that the project would not be cost-effective if it considered only the requirements of Turkey. In this context, the needed to collaborate with a Foreign Cooperation Partner (YIF) that has combatant fighter design experience and which can readily access new alternative export markets. Various companies submitted bids to the tender launched for the selection of the YIF and upon review of the evaluations, BAE Systems was selected as the preliminary YIF candidate. Immediately afterwards, the activities known as the “Pre-Contract Study” (PCS) were conducted with BAE Systems and in addition to contract negotiations, joint activities concerning engine selection, review of the conceptual design, infrastructures, etc. were carried out with joint working groups. As a result of these studies, the main principles in relation to the cooperation to be built between TAI and BAE Systems companies were identified through the “Heads of Agreement” document that was signed on 28 January 2017. The parties agreed on conducting the following contract negotiations within the framework of the articles of this agreement. It seems that the two parties will soon agree upon the entire terms concerning the cooperation agreement. With the signing of the Cooperation Agreement, BAE Systems will be assigned as the YIF within the TF-X Project. The project setup was built on the philosophy of developing the TF-X aircraft by utilizing the YIF’s existing technologies (Background IP) as well and through the collaborative activities of the YIF and Turkish engineers based on the domestic joint responsibilities principle. In accordance with the project model, a design organization will be established within TAI’s premises and the YIF will conduct the leadership of certain design groups and TAI will be the leader of some other groups. We plan for the participation of employees of both companies to all be a part of all design groups, a joint approach regarding project activities, within the framework of collaboration to accomplish a successful design process. On the other hand, we initiated intergovernmental negotiations between the Turkish and British Government. In this way, the establishment of cooperation at a strategic level through the Exchange of Letters method between both countries at the Defense Ministry level was planned in order to facilitate project activities throughout the project; priorities such as obtaining export licenses and accelerating technology sharing and the obtaining of export licenses. Thus, the risks that may arise as part of the project will be minimized with the support provided by the British governmental authorities and at the same time the infrastructure and facilities owned by the British government will be available for our utilization. Defence Turkey: Within the scope of the TF-X program, the decision was made for the twin-engine platform design. Apart from the design solution and platform performance, to what extent will the model’s availability for improvement, cost components and technological gains be in contributing to the development of an indigenous engine? What are your comments? As you also recognize, there are numerous key factors such as technical, financial and strategic ones, that have an impact on the selection of the company. We are evaluating alternative solutions by taking these aspects into consideration. To me, the most important criteria is the added value they will be contributing to the fruitful accomplishment of all these plans and the TF-X program which we expect to become the locomotive of our defense industry in respect to aviation. Regarding the selection of the off-the-shelf engines and indigenous engines, we actually require a hybrid solution. As you may also appreciate, the design of a complex platform such as that of a fighter jet is already a very challenging task. Conducting this design for a “tailor made engine”, the features and behaviors of which are not finalized, makes the process even more complicated. On the other hand, when we analyze the features of the aircraft that we plan to design, we come across a different picture; many existing off-the-shelf products are not fully capable of ensuring the performance that we desire. Without a doubt, the solution will be jointly developed by our industry and the company that we cooperate with and then it will be submitted to the Undersecretariat for Defense Industries for approval. Short Term: Initiating the design activities by selecting an existing engine. Medium Term: Increasing the selected engine’s performance to the desired level by using the development margins of the selected engine and executing serial manufacturing with this engine. Long Term: Designing more improved engines compatible with the interface and sizes with the serial production engines and conducting improvements with these new engines in the half-life modernization of the aircrafts. Surely, as I emphasized previously, these are my own intellectual assumptions. The setup of the project may be different than my projection. The original solutions for this issue, which may be different from the forecast, are developed by a business model and related cost-effectiveness and analysis are presented to the Undersecretariat. Defence Turkey: A significant number of human resources will be required for the following phases of the TF-X program. To this end, what will be the plan for creating a team composed of internationally experienced, seasoned lead engineers, administrative and technical staff with technical know-how and experience who will be able to devote themselves to the project? At this stage, what kind of a role will the Undersecretariat be playing as well as which roles will TAI and BAE Systems have as the main contractors? As a result of the activities conducted throughout both the conceptual design of the project and the pre-contractual activities executed with the BAE Systems, a need for human resources with both quality and quantity aspects emerged. In order to fulfill this requirement, studies are being conducted regarding domestic and international human resources for this type of project, meanwhile the know-how and experience of the staff already employed at the project are being enhanced through training. Within the framework of our cooperation with BAE Systems, providing “on the job training” to Turkish engineers is planned as well. In this context, with the launch of the project, numerous TAI engineers will be simultaneously assigned at the facilities of BAE Systems (without being limited only to T-FX) for on the job training purposes and will be performing tasks and gaining experience there. These staff will be returning to TAI in the following phases of the project and the experiences they gained will be utilized in the project. Moreover, within the scope of the Exchange of Letters which will be realized between the Turkish and British Government, a benefit is anticipated from the graduate and post graduate programs at the British Universities. The technology transfer gained through this process, the convenience provided by the itinerary and the technological cooperation between the two countries within the context of this project are planned to be increased to the highest level. In addition to the fighter jet design, this project requires the development of various advanced technology sub-systems. The readiness of similar regulations is planned to be conducted by our related companies and if necessary the Joint venture company they will be interoperable with as well as between the governments. Defence Turkey: BAE Systems is a capable of developing and manufacturing the Eurofighter and the company has significant experience in this area. Regarding the design phase of the program, is there any solution model on the table containing the utilization of off-the-shelf subsystems formerly utilized in the Eurofighter, and the critical technologies such as AESA Radar, EW system, communication system and indigenous weapon integration, etc. that would be developed by Turkey, and hence Turkey would only focus on critical technologies? Undoubtedly, one of the most prominent contributions to the TF-X provided by BAE Systems would be the company’s know-how and competency in the development of fighter jets and related sub systems. Within the scope of this project, our studies are being carried out on determining which requirements would be covered by the available subsystems or off-the-shelf commercial products by projections on technologies which are to be utilized in 2030s. The in-depth analysis will be made within this context regarding which technologies should be adopted indigenously; the export restrictions that may emerge, risks, cooperation opportunities, technological readiness level and capabilities of our country’s defense industry and decisions on procurement or development will be made accordingly. The model you mentioned is not actually the model we projected. Our main objective is to put forth an Indigenous Fighter Jet designed fully in accordance with the requirements of the Turkish Air Forces, instead of manufacturing a domestic improved version of an already existing Combat Aircraft. Within this frame, the off-the-shelf systems that are considered compatible with our combat aircraft and that do not create foreign dependency regarding the required sub systems may be utilized either directly or with minor modifications. Still, in cases where indigenous design is essential, most certainly we would work on the similar development models with our defense industry companies. Defence Turkey: Could you please inform us on the number of orders Turkey has given so far within the scope of the F-35 JSF program, the delivery schedule of these orders and on block configurations? Additionally, what kind of a schedule do we have ahead concerning the integration of the unique munitions such as the Stand-off Missile (SOM-J) and Guidance Kit (HGK) to the F-35s that will be included in the Turkish Air Forces’ inventory and their certification? At the Defense Industry Executive Committee’s (SSIK) meeting held on 06 May 2014, a resolution for putting orders for the first two F-35A JSF was made and then on SSIK’s meeting on 07 January 2015 an order for additional 4 JSF was decided upon. The first F-35 JSFs with Block-3F configuration are planned to be taken over in 2018. Under the current situation, resolution on the procurement consisting of 2020, 2021 and 2022 delivery terms, which was named the “Block Buy” was made at the Defense Industry Executive Committee’s meeting on 28 October 2016. With the adopted committee decisions, the number of aircrafts decided upon for procurement within the scope of the project reached up to 30 Aircrafts. Our first two aircrafts, to be received in 2018, will be dispatched to Luke Air Base for Pilot Training. The United States will hand over the first two aircraft to Turkey within 2019. The activities concerning the integration of the indigenous munitions, which we consider important such as the SOM-J and HGK to the F-35 platform, are continuing. If the program schedule proceeds on track, we will be enable to launch both munitions from our aircrafts in 2022. Defence Turkey: As the partner country, Turkey has a commitment of 100 orders within the framework of the JSF program. The unit cost trend is expected to decline with the gathering of bulk orders given particularly by partner countries in the upcoming period. Most recently, in February, Lockheed Martin went through a serious overhaul with US orders, and for the first time the F-35’s unit price went below $ 100 million. In this context, how will these developments impact Turkey’s orders and the requested configurations in the near future? United States and partner countries including Turkey were complaining about the unit price of the aircrafts for a long while. The reduction of unit price has a close link with the learning curves in addition to the increase in the amount of orders and ramp-up of production. Thanks to this approach, referred to as the “Block Buy” by the JSF Program Office, a considerable amount of increase in aircraft orders is expected, in addition to a reduction in costs. Currently the amount of savings achieved with the Block Buy are surveyed by the Program Office, yet the decreasing costs were, actually, the figures we projected with our partners through analysis and scheduled cost at the onset of the program. As a matter of fact, the aircraft procurement projections were made based on these assumptions as well. Furthermore, we are pleased to see that the ambitious price reduction predictions, that we made years ago, have come to pass. We are a program management success story, an achievement by the 9 program partner countries. Defence Turkey: Mr. Demirel, what would you like to say regarding the financial volume of the programs conducted by the Naval Platforms Department as of 2016? For a while, especially due to the slump in oil prices in the world conjuncture in the Military Vessel Construction sector, there is an economic contraction and the share is shrinking. Assessing the current status and the future of the Local Military Vessels programs together, how do you regard the sustainability of the sector? What would you like to say on the support and incentives made to this end? As a developing country, we are confronting various problems such as terrorism and the conflicts in the Middle East in addition to the economic recession globally and in our country. There has been an economic recession in the Military Ship Construction Industry but we may still claim that 2016 has not been unfavorable for the military vessel industry as a whole. Then again, as a result of the negative conditions in the world, there has been a tendency towards maintenance and repair and military vessel manufacturing in the Turkish Vessel Construction Industry. The Turkish Ship Construction Industry managed to maintain its existence even in the unfavorable conditions that we have been enduring since 2010 and continued its development. Taking a look at our own particular examples, many of our military ship construction projects’ initial delivery and final delivery were accomplished in 2016 and the construction of our naval platforms such as LST, KURYED, MOSHIP, Logistical Support Ship and LHD continue in 2017. The preparations for new tenders for the Defense Industry are being conducted and with the finalization of these tenders, a significant amount of contribution and labor will be provided to the sector in the upcoming period. Despite the decline observed in the rate of defense expenditures nowadays, the perception of threats and requirements are changing and technological development is gradually accelerating. The efficient utilization of resources and the sustainability of developed capabilities stand out in this process and we are monitoring the fusing of components such as design, production, engineering and financing based on horizontal and vertical integration; success in foreign markets is the objective instead of competition within the domestic market. Today, I would like to express with pleasure in consequence of the strategies that we have been pursing over the last fifteen years. We have reached a level at which we cater to all surface military ship requirements either in steel, aluminum or composite structure through our local resources. At this stage, the budgetary size of our military ship construction projects is approximately $ 5.5 Billion. This budgetary size will increase with the projects we will be initiating in the years ahead. Surely, these figures encompass all prices of the propulsion, weapon and electronic systems of a given vessel as well. From this perspective, even if the figure now seems quite high, the share of the military vessel construction sector’s remains below this figure. Therefore, I regard the continuity of the increasing export activities as essential for the sustainability of our sector. We will continue to provide support to our companies for export activities. However, in order to conduct export activities, a sound infrastructure, technological know-how and a qualified labor force are essential. I believe that the sector has a critical role in improving itself as well. As a result, we have confidence in the capabilities of our private sector. We support all types of setups and activities of our private sector which gains strength. As long as our sector enhances its capabilities, and reinforces the qualifications of its staff and infrastructure, the trust of both the Naval/Coast Guard Command Forces and our trust in our sector will increase. Taking into consideration the level we have reached in the military ship construction industry and the existing and potential projects, with the effective utilization of resources and investments, the specialization of the shipyards and the philosophy of “building our own ships at our own shipyards” regarding the products with high export potential, the design and manufacturing in Turkey are our main goal, and supporting and paving the way for the sector are now amongst our main tasks. Moreover, the establishment of export potential which we support by bringing successful domestic products to the world market plays a significant role in the sustainability of the sector. Defence Turkey: Many of our shipyards active in building naval platforms have significant capabilities in the Military Ship Construction Industry but it is constantly underlined that acting within a consortium is of essence for them to become a global brand. How will we establish a sustainable and powerful structure both in domestic programs and in foreign countries? Which do you think the correct setup is for success? As a result of the projects conducted by our Undersecretariat in recent years, the contracts that have been signed, the accomplished deliveries and the new tenders launched, the private sector shipyards acquired the know-how and experience enabling them to conduct military ship design, construction, outfitting and integration, test trials, guarantee, integrated logistical support and risk management. Turkey took its place amongst the countries having a say in a field as it is capable of conducting the design of the ships through its own resources and engineering acquirements. Our companies in the military ship construction sector have been developing themselves and becoming more robust with each project. Up to 2002, mostly the package projects were realized in which the design, integration and equipment support were supplied from abroad, but at the level we have reached, our sector is now capable of designing and building almost all types of surface military ships ranging from corvette-class warship to landing ships, patrol boats and other auxiliary vessels in our country. However, it is known that the sector’s sustainability could not be feasible merely through the procurement of Turkish Naval Platforms Programs. For this reason, we attach great importance toward export activities. We are bearing the export initiatives of our companies at all times. Occasionally several companies place a bid for the same client or tender within the scope of our export activities. This is the case that defies an easy explanation to the clients. In order to prevent this predicament, we lean towards and encourage consortium models in which our companies will be able to amalgamate their capabilities regarding the military ship sector in an integrated manner allowing them to feature their strengths. When we also analyze the cases dominating the market in respect to military ship construction, we come across the utilization of the acquired infrastructure and capacities as a whole, creating national brands and giving priority to competition in exports. These national brands contain various standardized shipyards that are specialized in different vessel types and are capable of functioning as a whole. In most parts of the export market, competition is seen among these national brands and companies about to access the market are confronting these strong rivals. From this perspective, the Turkish military ship construction industry must use its infrastructure and capabilities jointly in order to be able to compete in capacity and financial aspects. The precondition of this process, I believe, is the specialization of the shipyards which will be selected and the accomplishment of integration between the shipyards to a certain extent. As we recently witnessed at the IDEX Defense Fair in the United Arab Emirates, our local private shipyards assigned to the military ship construction projects have already gathered voluntarily and formed a consortium. When we also take a look at the examples in the world, export is indispensable for a sustainable industry. To this end, branding and acting unitedly is quintessential, a crystal-clear fact. Therefore, they key factor of sustainability and success in exports is our country’s private sector shipyards acting as a joint force both in projects at home and abroad. Defence Turkey: Dear Mr. Demirel, in which direction are the design activities proceeding and the activities related with the following stage within the scope of the TF-2000 program, which has been on Turkey’s agenda for a long time? Is the implementation of a consortium model in which military and private shipyards work together foreseen in this program just as in the I-Class Frigate program? Could you please evaluate the setup here? The naval platforms having Anti-Air Warfare capability are amongst the primary military forces used for regional defense that plays a key role in the accomplishment of the air defense in the region that they exist. On a global scale, it is understood that similar platforms are extremely great programs on which detailed work is conducted in respect to design, manufacturing and finance. Certainly, at this point, another key factor that needs to be recalled is the achievement of a joint operation in an efficient manner with other land, naval and air military units in the inventory, ensuring interoperability in respect to regional air defense. Rather than an individual project, the TF-2000 Anti Air Warfare Frigate is a program requiring the realization of many disciplines through long term and strategic plans in line with a common purpose. Within this scope, various indigenous projects such as the Multifunction Phased Array Radar System (CAFRAD), Surface-to-Surface Guided munition, unique torpedo, adaptation of combat management system have been initiated prior to the construction of the main platform and they are being executed in line with their schedules. Taking into consideration the projects I previously mentioned, regarding the subsystems towards the design and construction of the TF-2000 platform and bearing in mind the feasibility study prepared earlier, we have reached the final stage of our activities for determining the most optimal project model in financial and technical aspects, as well as the schedule. We aim for maximum benefit from the engineering infrastructure in our navy and from our shipyards as well as the main system suppliers that have been assigned in many military ship construction projects up until today. On the other hand, both concerning the issues in respect to the gathering of our private sector shipyards and the utilization of the facilities of the military shipyards, we have a favorable attitude, yet instead of being insistent in this respect, I believe that the industry’s presentation of its own solutions would be healthier and more permanent. Defence Turkey: Could you please inform us on the latest status of the MILGEM- I Class Frigate (MILGEM 5-8), New Type Submarine, Fast Intervention Boat Projects, Turkish Type Fast Patrol Boat, Landing Helicopter Dock (LHD), Off-Shore Tugboat, Amphibious Ship (LST) programs? Regarding the procurement of the fifth, sixth, seventh and eighth ships of our MILGEM Project, we issued our Call for Proposals in the second half of 2016. Our activities for the evaluation of the proposals of the bidders are proceeding. We aim to finalize the tender process as soon as possible and submit the project to the Defense Industry Executive Committee. Regarding the New Type Submarine Project, we initiated the construction of the first submarine in the last quarter of 2015 and the construction of the second one began in the first half of 2016. Currently the pressure hull construction of the submarines is being carried out at the Gölcük Shipyard Command and the factory acceptance tests of the sub-systems which will exist on-board are being run as well. Our efforts continue with an intensive pace toward gaining this important project into the inventory every other year starting from 2021; a project in which many of our domestic companies assumed critical tasks. Within the scope of the Landing Helicopter Dock (LHD) Project, the construction of the hull has been initiated and the activities for the revision of the design in line with the requirements and contract execution are proceeding. As part of the Amphibious Ship (LST), completion of the initial acceptance activities of the 2 ships and their delivery to the Naval Forces Command is planned to take place in 2017. Within the scope of the Fast Patrol Boat Project, the proposal evaluation has been completed and readiness studies concerning the submittal of the project to the Defense Industry Executive Committee continue. Concerning the Turkish Type Fast Patrol Boat, Final Report on Request for Information prepared as a result of the activities conducted by our Undersecretariat was submitted to the Turkish General Staff and the Naval Forces Command. The activities are being executed by the Naval Forces Command in line with the points presented in the Final Report. Our Undersecretariat will launch the readiness for the tender when these activities are accomplished. In respect to the Multi-Purpose Off-Shore Tugboat Project, the tender has been launched and the proposals are expected to be received by the end of April. We plan to complete the evaluation of the proposals in 2017. Within the scope of the auxiliary vessels, we recently initiated our activities for launching a tender for the Shore/Harbor Tug Project. We aim to issue the Call for Proposals for this project in 2017. Defence Turkey: Within the scope of the programs conducted under the auspices of your Unmanned and Smart Systems Department, could you share with us the recent status of the Tactical Class UAV procurement programs of the Security General Directorate, Gendarmerie General Command and Land Forces Command? With the Tactical Class UAV Systems included in the inventories of Security General Directorate Gendarmerie General Command and Land Forces Command, target acquisition and directing the maneuvers and firing are being run with the payloads, additionally these systems are capable of engaging and destroying the targets with instant visualization as well as the limited ammunition capability. Various countries across the world procure these Tactical UAV Systems and assign them to diverse tasks. Delivery of the TB2 systems, manufactured by Baykar Makine A.Ş., to various users as part of the Tactical Class UAV Projects executed by our Undersecretariat is ongoing. The delivered UAV systems are providing services with a high readiness rate. Our assessments for enabling the utilization of the aforementioned systems in commercial areas are in progress and we believe that the unmanned air vehicles technology, providing worldwide high rate of utilization opportunities, will be significantly demanded in the commercial sector as well. Defence Turkey: What is the project schedule envisioned for the system deliveries within the scope of the Anka-S program? In addition, considering the Anka Block-B procurement activities of the National Police, when will the contract be signed with TAI? Could you inform us on the latest status of the project? The ANKA-S system, which is an operative UAV System with a long endurance capacity at medium altitude, will be utilized by the Air Forces Command. In the current situation, inventories of the Air Forces of many countries in the world have operative class UAV systems. The system deliveries are planned to be accomplished in 2017 and 2018 in line with the ANKA-S Project schedule. Moreover, the Operative UAV system requirement of the Security General Directorate is expected to be fulfilled with the Operative UAV System Procurement Project that is planned to be signed with TAI in the near future. Defence Turkey: In addition to the procurement and development of Unmanned Air Vehicles, the Bomb Disposal Robot Project, development activities of which are carried out by Aselsan, is again being conducted under the responsibility of your Unmanned and Smart Systems Department. The delivery of the first systems was planned to take place in 2018. Yet, there is an immediate requirement of the Security General Directorate, so is it possible to hasten the timeline and make the first party delivery in 2017? Could you please elaborate on the recent status of the activities conducted to this end? The deliveries of the Light Armored Vehicles within the scope of the project were made in December 2015 and January 2016, eight months prior to the project schedule since there was an emergency for the systems. Currently, the qualification tests of the manufactured prototypes are also being run earlier than the delivery period. As a result of our negotiations with Aselsan, we reached an agreement on both increasing the amount of the party deliveries of the Bomb Disposal Robot and on the accomplishment of the deliveries before the delivery period according to the project schedule in order to fulfil the emergency of the Security General Directorate. Defence Turkey: Mr. Demirel, the feasibility study for the Call for Proposals as part of the AKINCI UAV development project is in progress. Which type of a project model will be formed within the scope of this program? This is a big platform, very large scale. Could we speak of a consortium model in this project as well as was mentioned for the naval vehicles? With the AKINCI Project, we aim to develop the equivalent of the UAV systems in a similar category currently possessed by few countries in the world, having a high speed UAV System with satellite control capability and payload capacity of over a ton. This project will be a domestic development project that requires the development of certain critical sub systems, components and technologies (through local resources) which have not reached the desired level of maturity under the current situation. Within such a framework, our main objective is setting up a project model that would minimize the risks by fulfilling the financial, scheduling and performance requirements. From this point of view, the alternatives including a consortium are on our agenda for launching a phased project model with the progressive capacity increase approach. Consequently, within the context of the AKINCI Project, the offers to be received for the Call for Proposals will play a determining role. The Call for Proposals is on track to be issued in the first half of 2017. Defence Turkey: What kind of a road map do you have in respect to the procurement programs of the Striker, Micro and NANO UAV systems and in parallel with this, the indigenous development of these systems in the prospective phases? The suicide drone systems are being used for the acquisition and destruction of targets at close-range by military units, primarily Special Force units. These drones with an operation radius of 10km and approximately 15 minutes of endurance with “loitering” capability are able to identify and immediately neutralize targets that may threaten the troops in theater. Initially the target is identified with cameras over the Striker UAV suitable for single use and immediately after the target is acquired the UAV completes a suicide attack to the target with explosives. The Micro UAV systems suitable for the utilization of a one-man operation, team and task force become a standard capability that need to be possessed by military units performing in a close conflict atmosphere. Due to the urgency of the requirements within the scope of the Striker UAV project, the first 6 systems are supplied through direct procurement from abroad. Simultaneously the remaining requests for 18 systems will be covered from local resources. NANO UAV systems are used by Special Forces and intelligence organizations for close range surveillance and reconnaissance. These systems with a very limited task range and endurance capability provide great advantage especially in the acquisition targets in urban conflict areas and undercover targets. With the advantages of the Micro UAV systems suitable for one-man use or at a team level, their worldwide utilization is rapidly increasing. The procurement of 10 systems was completed as part of the Nano UAV procurement contract. Micro UAV systems are being used for close range surveillance and reconnaissance purposes by military units and law enforcement officers, primarily Special Forces and intelligence organizations. Micro UAV systems with a task range of a few kilometers and limited endurance are capable of close-range surveillance of fixed installations as well as detection of targets that may threaten operative units. Micro UAV systems are convenient for usage by one-person, team or task force have become a standard capability that needs to be included in many operating environments. We plan to deliver the Micro UAV systems that will be supplied for the needs of our agencies in 2017. 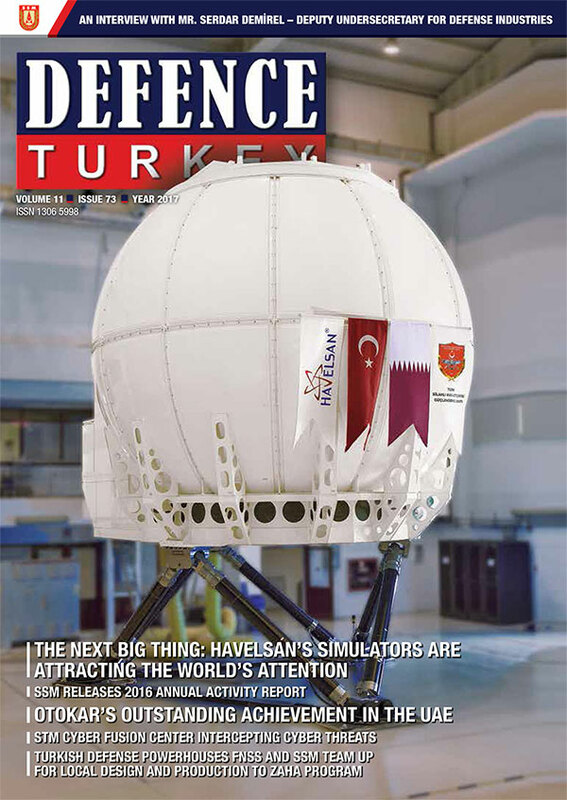 Defence Turkey: Finally, would you like to give a message to the readers of Defence Turkey Magazine? In these times where the Defense Industry is gaining more importance day by day, as I mentioned previously, numerous projects are being accomplished under the auspices of the Undersecretariat for Defense Industries in order to develop our national defense. Informing the public on the developments in the Defense Industry is as important as these projects on a sectoral basis. In this respect, the efforts of Defence Turkey Magazine bear great importance regarding the announcement of the projects and activities related to our sector. I would like to thank Defence Turkey Magazine for their contributions in this area. We should keep in mind that a powerful Turkey with a voice in its region can only be achieved through a Defense Industry Sector capable of designing and manufacturing its own weapons in accordance with the demands of the Turkish Armed Forces. A sound and successful “Defense Industry Sector” is only possible through our great nation’s interest and support.